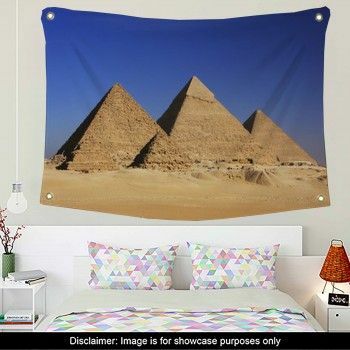 No matter what your religion, everyone has heard the enchanting story of Noah and the great flood. 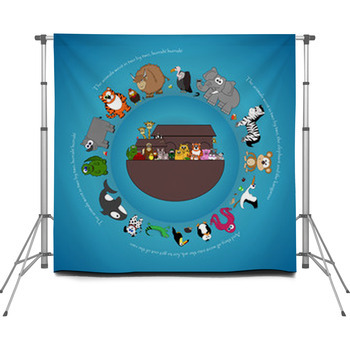 The charming story of the animals paired two by two on the great ark that Noah built to save the animals from the flood that covered the world is a great theme for any faith-based photo shoot. 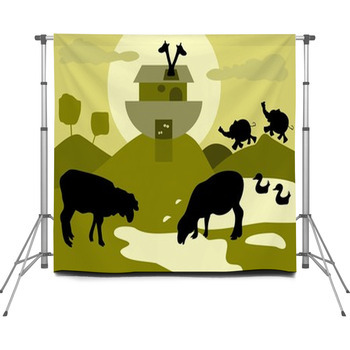 Consider one of our Noah's Ark backdrops to round out your collection. 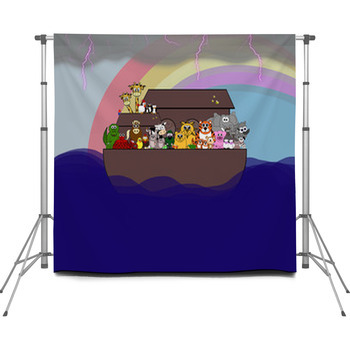 A Noah's ark photo backdrop is a necessity if you shoot portraits at a faith-based school. 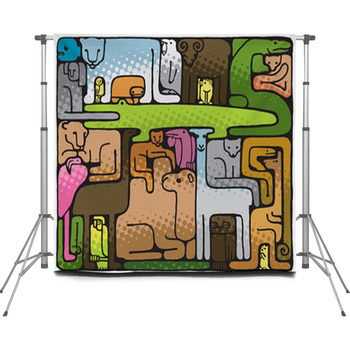 Kids and parents alike will love having a shot of their children with an ark full of lions, elephants, bears, zebras, dogs, and more. And there's Noah himself, resplendent in a robe and beard. 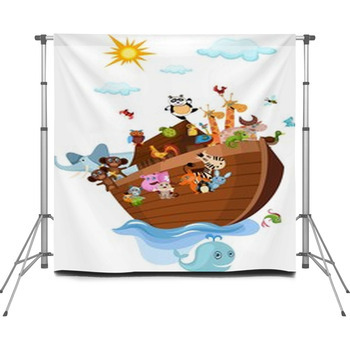 We have a variety of cartoons, artistic designs and even photographic renditions of the ark in our collection of Noah's ark photographic backdrops. 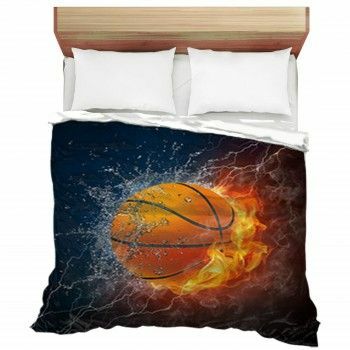 Many of them include the rainbow, which is essential to the story. God places the colorful rainbow in the sky to promise that he will never be another destructive flood to wipe out the world. 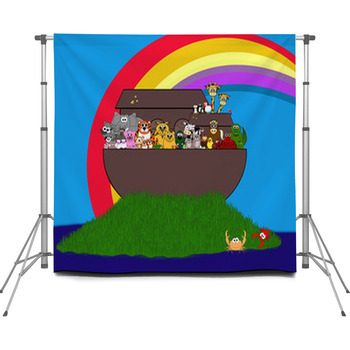 A portable Noah's ark backdrop would be great to have to shoot classes at vacation bible school, Hebrew school or any class that meets temporarily in your local church, synagogue or mosque. 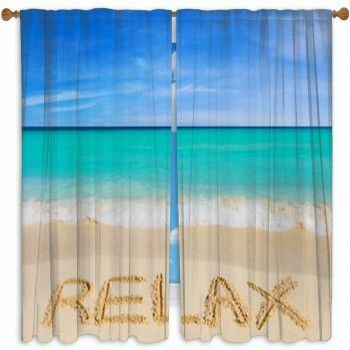 Parents will also love the bright colors in our backdrops, including the pretty blues of the water and sky, the neutral colors of the ark and most of the animals, and the color spectrum of the rainbow promise.